Vitigliano is an ancient, prestigious villa, originally owned by the Church until 1350, and subsequently sold to a noble Florentine family. 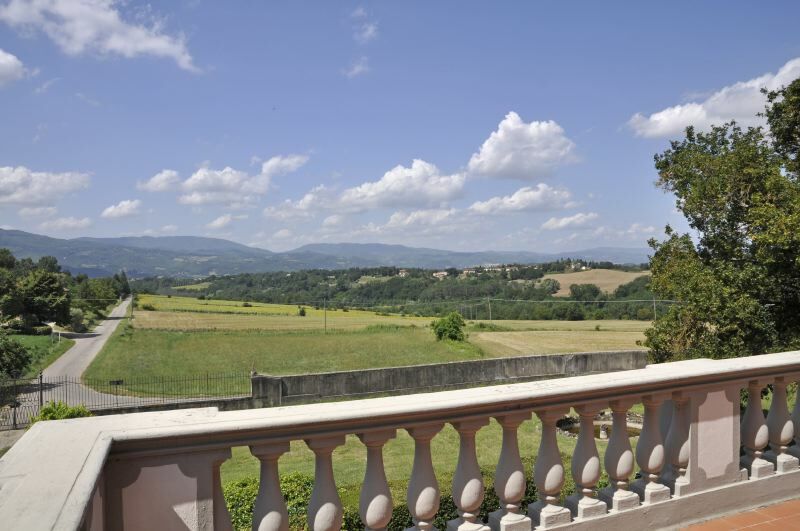 It is situated in a splendid panoramic position, immersed in the peace and tranquility of the green Mugello valley, on the southern slopes of the Apennines, 350 meters above sea level. 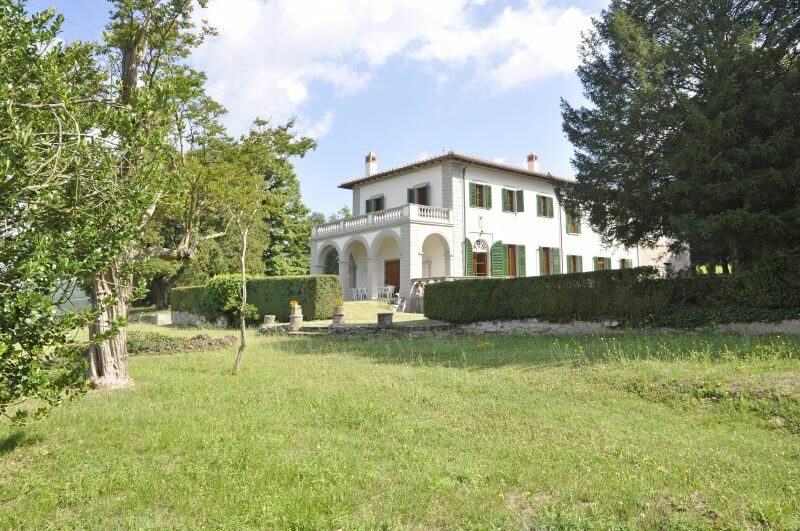 The estate consists of 230 hectares of farmland, mostly devoted to the cultivation of wheat and cereals, alternating with chestnut woods and fields. 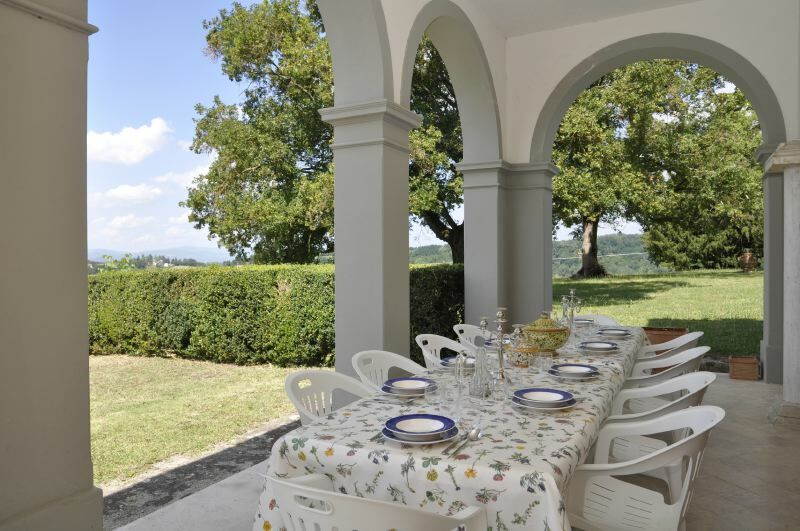 The villa has been recently renovated by the current owners and furnished mostly using period pieces. Guests have exclusive use of the pleasant outdoor areas and the beautiful swimming pool (6.5 X 15 m). Between the villa and the swimming pool, partly separated by a laurel hedge, is a farmhouse divided into three apartments. The caretaker lives in one of the apartments which has a separate entrance. The town of Vicchio, the birthplace of Giotto and Beato Angelico, is around 4 km away. It is possible to buy bread and other basic foods in Vicchio. There is a wide selection of shops in Borgo San Lorenzo, which is around 15 km away. Florence (around 30 km) can be easily reached by car or using the convenient and frequent train service. It is possible to go sailing on Lake Bilancino which also has some beaches that are suitable for bathing. The villa has ADSL broadband and Wi-Fi internet. large entrance hall, 2 living rooms, one of which has a fireplace and TV, dining room, kitchen with oven, freezer, microwave and dishwasher. Laundry room with washing machine. 2 toilets.